In a filing with the Bermuda Stock Exchange [BSX], Ascendant Group Limited has appointed Sean M. Durfy to succeed Walter M. Higgins who will be retiring as President & Chief Executive Officer. The full filing stated: “Ascendant Group Limited has appointed Sean M. Durfy to succeed Walter M. Higgins who will be retiring as President & Chief Executive Officer. “Mr. Durfy will join Ascendant Group on 12 September 2016 having most recently served as President and Chief Development Officer of Northland Power Inc., an independent power producer and developer that builds, owns and operates facilities in Canada, Europe and other jurisdictions. 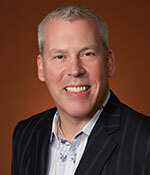 Previously, Mr. Durfy was President, Chief Executive Officer and Director of Canadian airline WestJet. “Mr. Durfy brings with him a track record of innovative business strategy and leadership focused on developing business growth and corporate culture. “In addition to his position at Northland Power Inc., Mr. Durfy’s experience in the electricity sector includes having served as President and Chief Operating Officer of ENMAX Energy Corporation, an electricity and natural gas company headquartered in Calgary, Alberta and Director Energy Marketing at TransAlta Energy Marketing Corporation, also in Calgary. Chairman of the Ascendant Group Board of Directors Peter Durhager said, “In anticipation of Walt’s retirement and as part of a planned succession process, the Board conducted an extensive local and international talent search and is excited to welcome a proven leader of Sean’s caliber and experience to succeed Walt. Mr. Higgins will remain available as an advisory resource to Mr. Durfy and the Board during a transition period. Here comes your push for the Liquified Natural Gas switch – RUN!!!!! LNG is a flash in the pan because fracking isn’t sustainable. It will be pushed as a “clean” fuel, although Ascendant has just reduced the viability of other alternative sources, in their own best interests, of course. Good luck Mr. Durfy, Bermuda is a lovely place to haul in a humongous salary and benefits. You won’t find any downside to Bermuda living, paradise. Ascendant, as a name, has been the oxymoron of the millenium since it’s inception. Perhaps, you can turn them around as BELCO is vital to Bermuda and has many good people getting it done. I actually think he’ll be making a modest salary in comparison to what he was earning at WestJet, Northland and especially ENMAX. This has got to be a change in lifestyle move. Fair play.